The PBI Seoul participants will have a chance to visit Camp Greaves as part of the excursion. 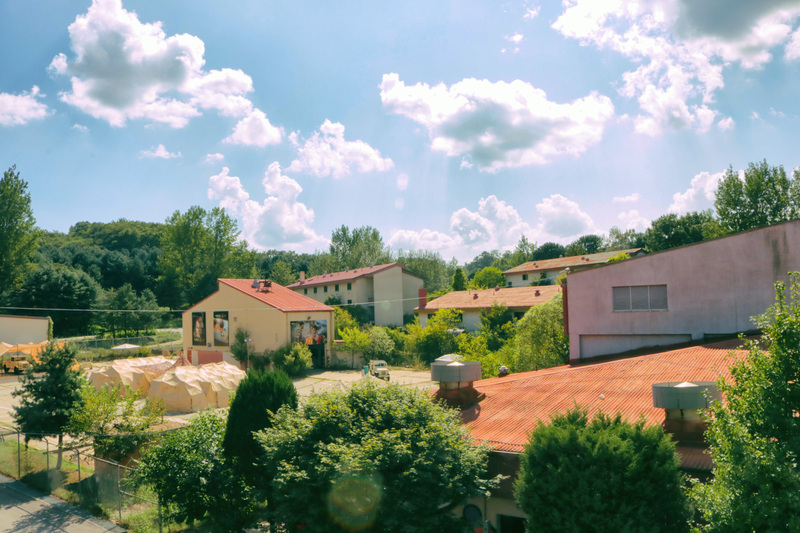 KBS’ 2016 blockbuster drama “Descendants of the Sun” was shot at Camp Greaves. 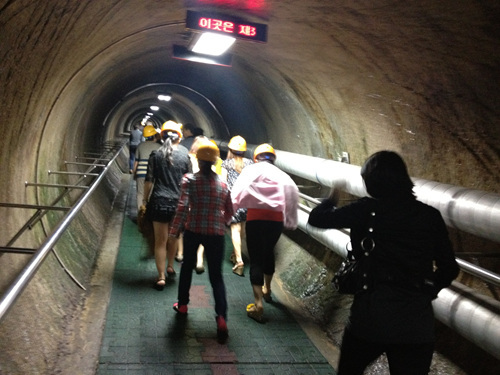 The PBI Seoul participants will have a chance to visit the third tunnel as part of the excursion. 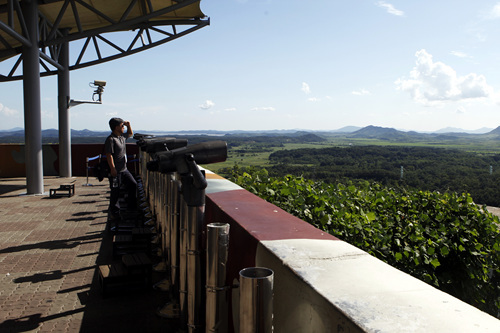 Visitors can catch a glimpse of North Korea through binoculars from Dorasan Observatory. Beyond the Reach of All Men Excursion to DMZ is scheduled during PBI Seoul 2018. 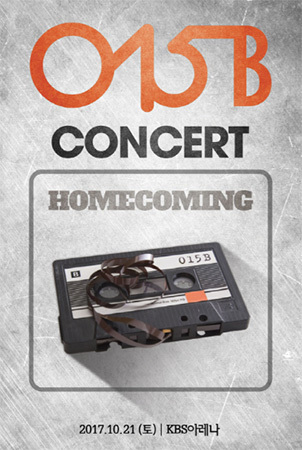 An exclusive post-conference excursion is scheduled for October 25, 2018 as part of PBI Seoul 2018. Participants of the Seoul conference have been invited to join the excursion to the DMZ. The trip is co-organized by KBS and Korea Tourism Organization. With the recent thaw in relations on the Korean Peninsula following the inter-Korean summits and the North Korea-U.S. summit, the DMZ has garnered even more attention for people at home and abroad. Established in 1953, the DMZ runs across the entire length of the Korean Peninsula. The 248-kilometer belt that separates the two Koreas has long been a symbol of war and division. The DMZ has also been home to thousands of species that are extinct or endangered elsewhere on the peninsula as the area has been untouched for roughly 60 years. Described as the last haven for many of these plants and animals, it is the center of attention for those intent on preserving Korea's rich ecological heritage. The DMZ tour will certainly be a unique opportunity for the Seoul conference participants to experience the legacy of the Korean War and the flourishing wildlife in the DMZ. Major stops along the post-conference excursion include Panmunjeom, a small village located in the DMZ that was used as the official venue of the April 2018 Inter-Korean Summit. The excursion will also offer a chance to visit the Third Tunnel, Dorasan Observatory, and Camp Greaves DMZ Experience Center. Panmunjeom: The 1953 Korean Armistice Agreement that paused the Korean War was signed at Panmunjeom. The Seoul conference participants may not be able to visit Panmunjeom if the United Nations Command has a military exercise planned on the day. The Third Tunnel: Discovered in 1978, the North Korean-made tunnel spans over 1,635m in length, 2m in width, and 2m in height and is located 52km from Seoul. It is estimated that approximately 30,000 soldiers could move through the tunnel per hour. Located only 4km away from Imjingak toward the southwest, it is accessible by car in about 45 minutes. Dorasan Observatory: Located on top of Mount Dora, the observatory looks across the DMZ. It is the part of South Korea closest to the North. Visitors can catch a rare glimpse of North Korea through binoculars from the 304-square-foot observatory. Visitors can see as far as the city of Kaesong. Camp Greaves: Camp Greaves was a base camp for the 506th U.S. Second Infantry Division for about 50 years after the ceasefire agreement of Korean War. The camp was transformed into a peace and security experience facility and it is located just about 2km away from the DMZ. It also has the first youth hostel to be located within a restricted area for civilians in Paju city. Camp Greaves is also famous as it served as the set for the KBS’ 2016 blockbuster drama “Descendants of the Sun” starring recent newlyweds Song Hye-kyo and Song Joong-ki. Please visit http://pbi2018.co.kr to find more about the upcoming PBI Seoul conference.